We're continuing our series, reaching out to Realtors who specialize in mid-century properties. We'll be asking questions of Realtors across the United States to see what's the same or different in various part of the country. 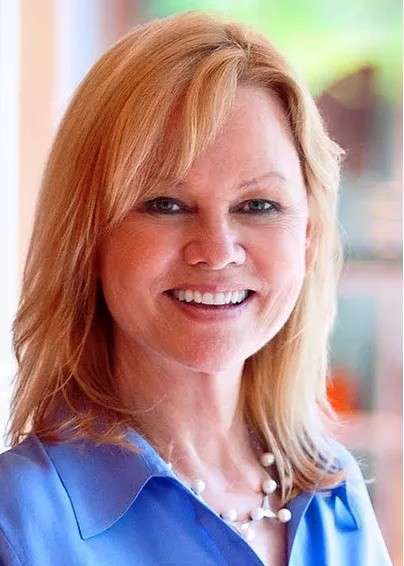 Today we're highlighting the Sarasota, Florida area with Martie Lieberman of Premier Sotheby's International Realty. Tell me a little bit about yourself. How long have you been a realtor? Martie Lieberman, Architecture & Unique Homes Specialist, Premier Sotheby's International Realty. I have been a full-time licensed Florida Realtor since 2002, www.modernsarasota.com. How long have you been focusing on mid-century properties? Since 2002 – fifteen years! What made you decide to specialize in mid-century homes? I proposed and co-chaired An American Legacy: The Sarasota School of Architecture Tour & Symposium in 2001 as President of the Fine Arts Society of Sarasota. It was a five-day series of tours, scholarly lectures, documentary films, an exhibition, dinners with original architects at the mid-century homes they designed, boat tours led by architects and other events. The Sarasota Architectural Foundation grew out of this event, with the volunteers who helped make this huge project happen. After co-chairing SAF for a few years, I began to list and sell architecture. To me, architecture was the only real estate I was interested in working with, and this became my niche. Do you only specialize in this style of home, or do you also work with other clients? Specializing in mid-century architecture and unique real estate is all I do. I help advise others who ask for my help, but usually, I refer them to someone I think can do the best job for their particular needs. Do you work with commercial mid-century real estate or only residential? I only work with residential properties. What range of ages do you consider mid-century in your work? The mid-20th century is usually the 1950-1960 range, but the best of today's architecture, when designed using classic desirable concepts, are described as being in the mid-century style. To me, good architecture feels good, flows well inside and out, has honesty of materials, lots of light, open spaces, privacy, and a lush landscape which is particularly desirable in my area. What’s the mid-century home climate where you are? My good mid-century properties are very much in demand and are selling at prices 15% to 35% above the property next door. Do you see the desire for mid-century properties in your area growing or shrinking? What does the future hold as mid-century becomes even more “antique”? Always popular, and in short supply, the desire is still growing. Salt air, strong sun, and annual storms are part of life in this area, and proper maintenance is required for any home, especially one or near the water's edge. I always recommend owners work with the original architect if possible, and if not, I research and recommend the best architect(s) for their particular needs. It's important that changes are made appropriately, or the property loses its provenance and desirability. Are there mid-century details of homes that are specific to your area of the country? Our mid-20th century "Sarasota School of Architecture" body of work is almost exclusively one-story residential structures, on or near the water, with large expanses of sliding glass, clerestory windows, terrazzo floors, deep overhangs, strong indoor-outdoor sensibility, tropical foliage, floor to ceiling windows, walls, draperies and doors, numerous built-ins, and louvered exterior windows, Most were small, originally built as winter vacation homes, with two to three bedrooms. What is the typical price range for mid-century homes in your area? From $200K to $6 million. What is the demographic of your typical mid-century buyer? Every age loves mid-century houses. The one-story, indoor-outdoor appeal works for people from around the world, of all ages. It is also great for aging in place because there are usually no stairs or barriers to living a comfortable, healthy lifestyle. What type of mid-century details are your clients looking for in a home? A one-story house with terrazzo floors (or polished concrete), sliding walls of glass, lots of light, and good spaces in a walkable area. My buyers are mostly into classic modern style, I would say. More of a quiet sophistication is how I would describe the way they live, but of course, everyone's taste is different. These houses have a way of telling you when something is "too much" and if anyone asks "should I remove" the answer is usually yes. People tell me the house rejects things, and I believe them. Would you sell to someone who is looking to tear down a mid-century home, or do you draw the line at working with that type of client? I would say "Let's go see the house next door instead because it is not important architecture and has the same waterfront location and views. You don't want to be that person that tears down a community treasure, trust me." What do you do when you see a house that’s been “remuddled”? If the seller wants me to help sell their property I work with them to bring out the good bits and play down the inappropriate ones. If a property is too far gone, I offer advice if they ask, and try to help but I am probably not the best person to sell one of these. 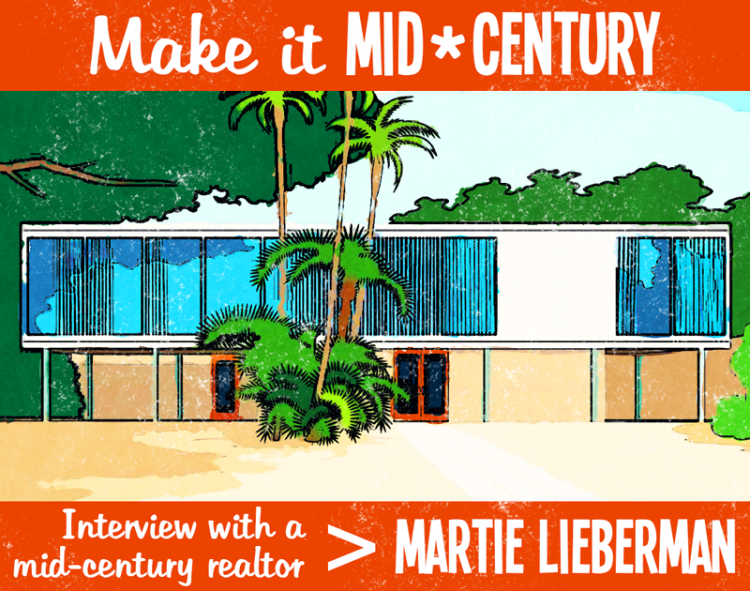 Do you have a favorite story from working as a realtor specializing in mid-century properties? I have a lot of them, but mostly I like to see the best possible buyers fall in love with one of these properties. It's magical, and the new owners take their responsibility seriously. Anything more you’d like us to know about you and your “relationship” with mid-century? I really like the architects who designed these houses, and the people who seek them out, as well. It is a pleasure to meet them all, learn from them, and help them any way I can. Last question that I have to ask. Do you live in a mid-century home? Many thanks to Martie Lieberman of Premier Sotheby's International Realty for willing to be interviewed. Interested in working with Martie? You can find her on her amazing website modernsarasota.com. Curious where we've been? 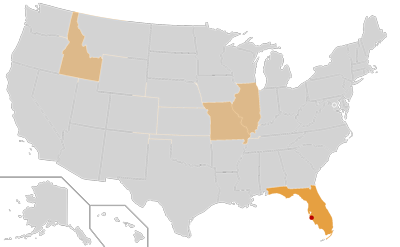 Here's a map for our current and past interviews. We'll update it with each new interview with the goal of hitting all 50 states! Are you a realtor who would like to be featured? Email us here.